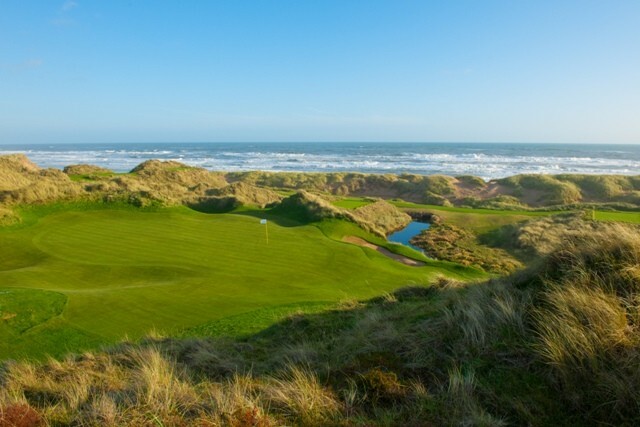 Donald Trump has teamed up with golfer Colin Montgomerie to officially unveil Trump Golf Links Scotland; a golf course, golf house and practice facility at Menie, Aberdeenshire. 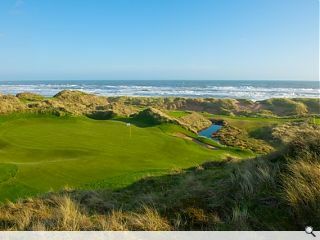 Members of the public will be able to book time on the course, built on a site of special scientific interest, as well as purchase Trump products and merchandise from the shop and dine in a dedicated site restaurant. 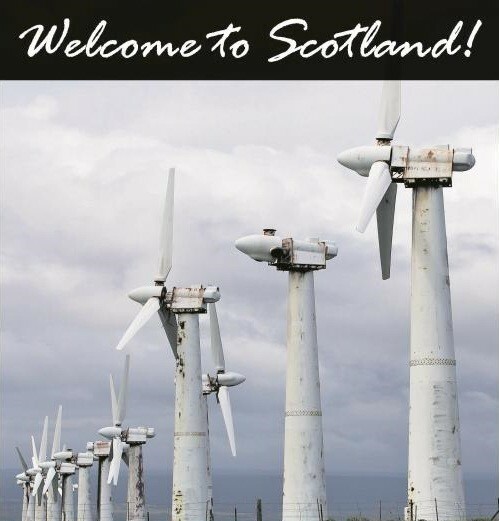 The Scottish Wildlife Trust are imploring people to boycott the most environmentally sensitive areas of the course. 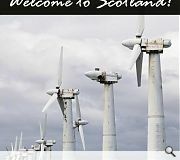 Plans to erect a hotel and hundreds of homes have been put on hold pending a decision to erect a series of offshore wind turbines which Trump attests will negatively effect views. The course, designed by golf architectural practice Hawtree Ltd, will officially open to the public on Sunday.